Charles City begins this week with a new problem on its plate. 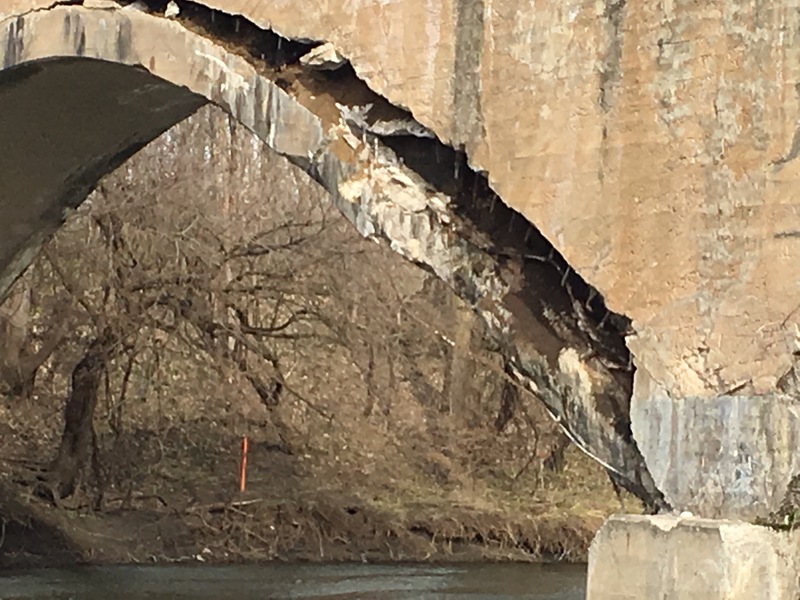 The old railroad bridge along the Charlie Western Recreation Trail is partially falling down. You can see photos here. The City Council will meet at 6 p.m. Wednesday April 12. Today is your last chance to speak up about the Charles City School District annual budget before the School Board votes on it. the budget includes a property tax rate: $12.89 (decrease of $0.04 or 0.35%) Surtax 6% (same as prior year). Forecast for Floyd and Chickasaw Counties from the National Weather Service. Monday — A 30 percent chance of showers, mainly after 1 p.m. Mostly cloudy, with a temperature falling to around 50 by 5 p.m. West wind 10 to 14 mph. Monday Night — A 30 percent chance of showers before 1 a.m. Mostly cloudy, with a low around 34. Northwest wind 13 to 15 mph. Tuesday —Mostly sunny, with a high near 54. Northwest wind 9 to 11 mph.